All you need for your everyday web design! Inpaint 6 in the ZotShop for the weekend! We bring you some of the most needed Stacks to start great websites directly from scratch. Stacks 2 (sold seperately by yourhead.com) will enhance your Rapidweaver experience with the ability to drag and drop all kinds of 3rd party Stacks onto your page and create just what you need, a great website! TransBox Stack provides you an elegant way to create beautiful semi-transparent boxes. It gives you options to change the opacity at mouseover or to show a dropshadow around the box. Settings for rounded corners for top and/or the bottom of the box are also included. YouTube Stack will let you embed a single YouTube video, a Playlist or all user's video uploads. If you have agreed to the YouTube HTML5 opt-in, the embedded video will decide if you are capable of using HTML5 to play that video instead of Flash. Automatically resizes your image to make it fit in your responsive design. Optionally set up breakpoints for different browser dimensions in order to display different images for different devices. 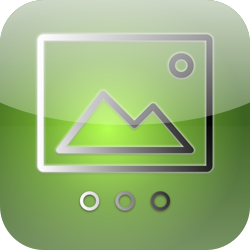 For example, you can set up a high resolution image for desktop browsers and a cropped version which focuses on some detail in the smaller image for smaller devices like tablets or mobile phones. This way your visitors don't need to load very big high resolution images while they are surfing on a low mobile data connection. List Stack will let you create easily manageable (image) lists.You can choose to use custom images. You can even define how much each item has to be indented. All standard list items are also supported. This Stack will make it easy for you to bring some background music onto your website. All you have to do is to drop the Stack and an mp3 and ogg audio file and the music will begin to play on all modern browsers. Show your videos on your website and make it more dynamic than all static websites. You can use different video formats for each browser you want to support. There's even an option to deliver a special video for iPhone users.